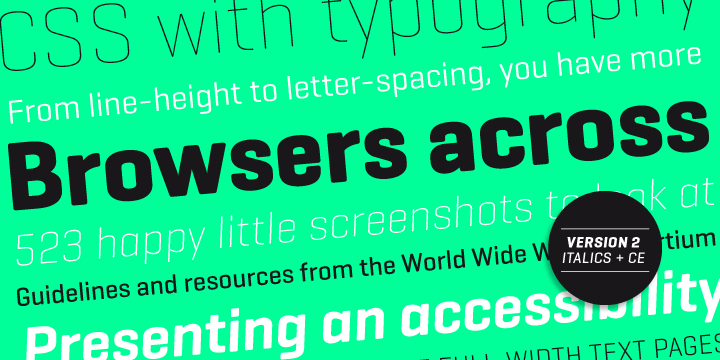 Geogrotesque is a semi modular font available as a subtle rounded finish typeface. The characters of Geogrotesque are based in the prescribed theory of analogous optical adjustments. This helps the font to adapt the system to a specific alphabet for texts. The typeface sports a geometric or “hi-tech” construction. The rounded finish is perfect for ensuring a warm appearance. The type family comprises of 14 unique styles, 7 weights and italics.